My parents divorced when I was nine years old after being separated for eight. I am the middle child of three children. My older sister was eleven, and my little brother was eight when our parents divorced. In June of 1997 on Father’s Day I told my father that I was moving in with my mother. Shortly after moving in with her, her soon-to-be husband got out of jail for a DUI. Everything started out good. He gave me a kitten, and I had my own room; all of the things he had promised. But it came with a price. My stepfather raped and molested me from the time I was nine until I turned thirteen, and was removed from the home by child protection services. The state placed me in temporary foster care, but at the court hearing mother told them she’d rather have them take me than leave her husband. So my father took me. I was damaged, torn apart, angry, and I had PTSD. I would run away from home to keep my father and brother safe from harm after my stepfather threatened me. My father couldn’t keep me home, and I ended up back in foster care after a brief time in a few group homes. 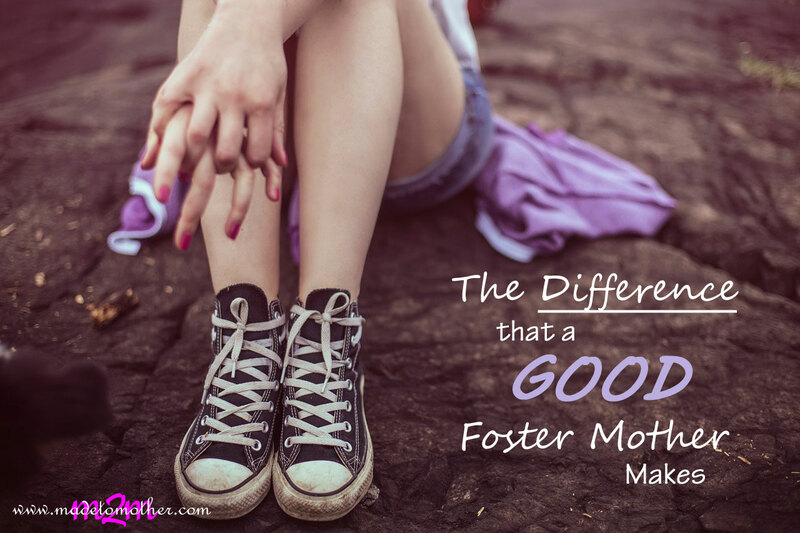 My second foster mother was a great woman; it just wasn’t a good fit for me to be there. My third foster mother was a despicable woman. She collected foster kids for the paycheck, and lied to my caseworker saying I was making progress, even though it wasn’t true. What I really did was lock myself in the bedroom, alone with my thoughts, and cut myself. Eventually I ran away, staying with a friend who turned me in to Children and Youth. That’s when I met my fourth and final foster mother. Her name was Cindy, and she was a great woman. So was her husband, Carl. They really made me feel accepted, and part of their family. But I was severely damaged. I didn’t know what it meant to be in a family. I didn’t see at the time that they loved me. To say I had a problem with authority would be an understatement. Cindy didn’t really allow people to get too close to her. She had been working in foster care for many years and had seen many foster kids come and go. I think that by the time I came, she had learned that she needed to build up her walls. But I know now that she did care for me. One day I was really sick with the flu, and she let me lay my head on her shoulder, petting my hair while I slept. When I left foster care for the last time, she drove me to my house and dropped me off. I looked back, and she was crying. I never understood why. Wasn’t I just a paycheck to her, too? Years later, I came back to the area because I married the man I was dating when I was in foster care. Cindy was still there, still going to the same church. I asked her why she cried that day, and why she treated me like she treated her daughter. She told me that I was her daughter and that she loved me. It would never change. Cindy has since passed away, but not a day goes by that I don’t wish I could tell her how I felt about her during the time I lived with her, and that I love her and miss her dearly. My son called her Grammy. She was my second chance. My role model. My best friend. She was my mom and she didn’t have to be. Because of Cindy, I have a profound respect for foster parent who help kids like me. It may seem that we are ungrateful, or that we hate you, but the truth is we are grateful for you. Never stop doing what you do! The author to this story prefers to remain anonymous, but I think she presents a wonderful opportunity to talk about how mothers come in all sorts of shapes and sizes. Biological, adoptive, foster, single, married, divorced, healthy and broken…. There is no judgment or condemnation here; just support. And hopefully, there is also healing. Healing in sharing our stories, our traumatic pasts, our confessions. Healing in feeling camaraderie with others who’ve been there, too, or are there right now. And the strength to move forward toward a healthier future. Can you relate to this mother? Is there someone out there that mothered you at your ugliest, loved you when no one else did, and stood by you no matter what? Have you been able to thank them? I found my “Cindy”, the foster mother that had the biggest impact on my life, a few Mother’s Days ago. I found her through FB and was so nervous that she wouldn’t remember me 20 years later or wouldn’t want to hear from the disrespectful kid that ran away all the time. She messaged me back almost immediately and said she had been praying for me every day since I left. We’ve stayed in touch and hearing her say she is proud of me for overcoming the adversity of my childhood and becoming a foster and adoptive mom myself means more to me than she will ever know. Please don’t ever underestimate the impact you have on a child, no matter how long they’re in your care. Love is a seed and it will bloom eventually, even if you’re not there to see it.